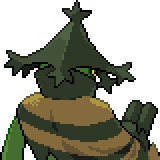 Cacturne is a dual-type Grass/Dark Pokémon. 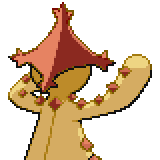 It evolves from Cacnea starting at level 32. 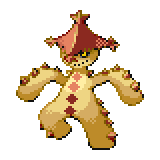 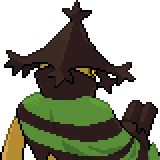 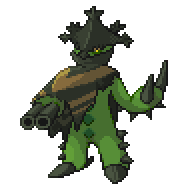 It can Mega Evolve into Mega Cacturne using the Cacturnite. 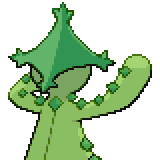 A level of "Start" indicates a move that will be known by a Cacturne obtained at level 1. 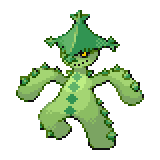 Mega Cacturne has the highest base Attack of all Grass-type Pokémon. 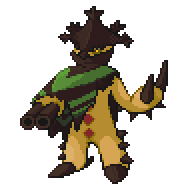 Mega Cacturne has the highest base Special Attack of all non-legendary Dark-type Pokémon. It is also tied with Mega Sceptile for the highest base Special Attack of all Grass-type Pokémon. This page was last edited on 18 March 2019, at 23:41.